Using the book 'Letters from the Lighthouse' by Emma Carroll children will use this text to inspire our story writing. · Use expanded noun phrases to convey complicated information concisely. · Use a range of interesting verbs. · Expand upon a multi-clause sentence ensuring that it is punctuated correctly. · Use a wide range of devices to build cohesion within and across paragraphs. · Plan their writing by noting and developing initial ideas, drawing on reading and research where necessary. · Draft and write by describing settings, characters and atmosphere. · Evaluate and edit by assessing the effectiveness of their own writing and the writing of others. Our current Science topic is ‘Light. Working Scientifically, children will have the opportunity to plan and carry out an investigation in the context of finding a reflective material for children’s clothing. They will have the opportunity to use light sensors and data logging equipment to measure and record their observations and they will write a report detailing what they have concluded. Our current RE topic is ‘Creation/Fall’. Outline the importance of Creation on the timeline of the ‘big story’ of the Bible. Identify what type of text some Christians say Genesis 1 is, and its purpose. Taking account of the context, suggest what Genesis 1 might mean, and compare their ideas with ways in which Christians interpret it, showing awareness of different interpretations. Only complete the tests that have been set for that week. We will mark your tests in class so remember to bring your homework books into school every day. Practise times table and division facts. Use Times Tables Rockstars (if possible). Fact Family of the week. Read daily – for AT LEAST 20 minutes. Record your reading in your homework diary, including comments. Talk to someone at home about what you’ve read and get them to ask you questions. Practise your weekly spellings (see sheet). Practise the Year 5 / 6 common exception words (and Year 3 / 4, if you need to). Practise various spelling rules and learn them. Tips for parents on how to make grammar fun for children! Practise your spellings at home use these on-line games. Even more spelling games here. Why not read some ebooks at home? 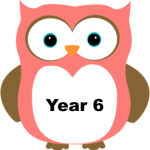 Try to read EVERY evening Year 6, when possible! Talk to your family about what you’ve read; get them to ask you questions about your book; share books with siblings; write book reviews!